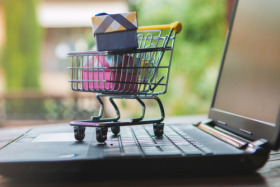 Insights director at Springboard, Diane Wehrle said: “The drop in footfall to bricks-and-mortar stores over the Black Friday weekend is a reflection of the larger discounts offered online. Online is open for business 24 hours a day and is therefore seen as a more convenient option for shoppers. “Throughout the weekend, the drop in footfall was most dramatic in shopping centres. The stronger resilience of high streets and retail parks in comparison is likely to be a function of their wider range of hospitality outlets compared with shopping centres. This illustrates that many shoppers regard Black Friday weekend as an opportunity for a day out with friends or family, which is likely to include a stop for coffee or lunch during their trip." Springboard had predicted Black Friday footfall to drop by 3.7% across the UK, as consumers head online to shop deals rather than heading out to the high street – although internet sales growth will still not match last year, thanks to poor timing, price comparison sites and heavy discounting in recent weeks; even with 72% more UK retailers taking part in Black Friday this year.